Federal law enforcement jobs aren't just for the men in black, and you don't have to be a special agent to enjoy the many benefits and exciting duties that come with a federal law enforcement career. Take advantage of the often lucrative federal pay scale and federal locality pay offerings by training to protect and serve as a uniformed police officer for the United States Federal Government in one of these rewarding federal policing jobs. 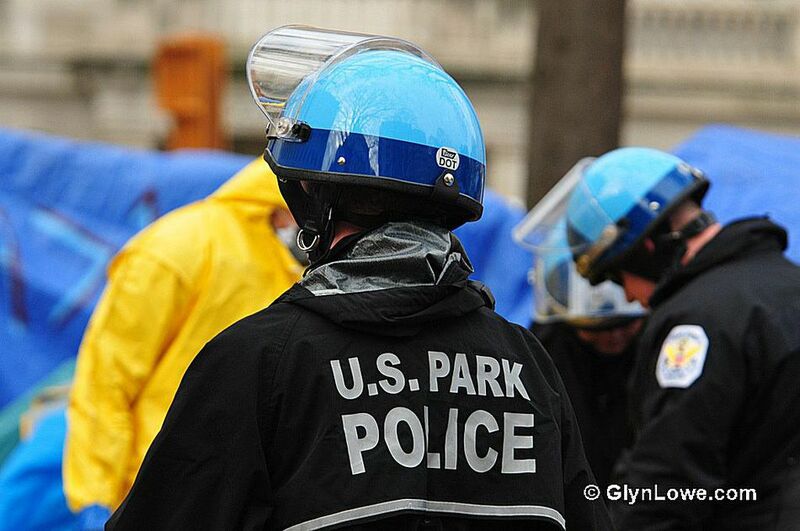 The United States Park Police are responsible for protecting the nation's national memorials, monuments, and parks. As a U.S. Park Police officer, you'll have the opportunity to preserve the heritage of the United States and help make sure important U.S. landmarks are safe and secure for visitors. Aviation enforcement agents with the U.S, Customs and Border Protection are an important part of the world's largest non-military air force. CBP Aviation Enforcement agents work alongside CBP Aviation Interdiction Pilots, flying air patrols to keep drugs and other contraband from entering the U.S., eliminate human trafficking and smuggling, and fight terrorism before it reaches the borders. The National Security Agency is one of the premier intelligence-gathering agencies in the world and provides critical support for the U.S. intelligence community and the Department of Defense. U.S. Border Patrol agents are uniformed officers who often serve as the first line of defense in the war on terror, working to keep dangerous people and materials from crossing the U.S. border. Working with their aviation, marine and customs counterparts, border patrol agents are the boots on the ground who track illegal entries. They play a vital role in counter-terrorism efforts, reducing human trafficking and curbing illegal immigration. As the owner of thousands of buildings and the employer of more than 2 million people, keeping its personnel and assets safe is an understandable priority for the United States government. The Federal Protective Services division of the U.S Department of Homeland Security is responsible for just that. As an officer with the FPS, you'll be charged with providing security services for the people who work for the federal government and the citizens who rely on their services. Much of the United States is surrounded by water. Whether by lake, river, or ocean, like their aviation interdiction and enforcement counterparts, Customs, and Border Protection Marine Interdiction agents are responsible for intercepting illegal activities, people and contraband before they make it across the U.S. border. As part of their duty to protect the President and Vice President of the United States, as well as high-profile dignitaries and official visitors to the U.S., the United States Secret Service employs a robust force of uniformed police officers who augment security, protective efforts, and law enforcement operations that the agency carries out. Customs and Border Protection officers are posted at ports of entry around the United States and are responsible for making sure visitors or citizens returning from abroad don't introduce dangerous plants, animals or contraband into the United States. As a Customs officer, you may be stationed at an international airport or cruise port. The Federal Bureau of Investigations employs a uniformed police force to keep their building and employees safe and secure. FBI police officers are fully-sworn federal law enforcement officers who work in Washington, D.C., in and around the FBI's headquarters. Department of Defense police officers work closely with military police forces to provide protection and security at U.S. military bases and installations across the U.S. and around the world. DoD police perform functions similar to their counterparts in civilian police departments, investigating crimes, handling traffic enforcement on base and responding to calls for service within military facilities. There are so many agencies that employ special agents, police officers or both that - no matter what your interests may be - you're very likely to find a career that's right for you. Take your time to learn as much as you can about the jobs that excite you most, and with a little hard work and dedication, you'll be well on your way to a rewarding job as a federal police officer.